This volume not only brings together a huge volume and range of research and scholarship on teaching and learning but does so in an extremely accessible and engaging way. This is a book that seeks to encourage thinking, and thinking oriented to helping to enhance higher education and everyone’s experience of it at that. It is a splendid book from which everyone can gain. John Lea’s book explores a rich spectrum of themes relating to teaching and learning in higher education in general, and to the notion of professionalism in HE teaching in particular. Not shying away from the profoundly contested nature of higher education, it offers a comprehensive picture of current issues, with contributions from an impressive range of scholars and practitioners. The text stimulates critical, intellectual analysis, but also provides research-informed, practical examples of creative ways forward for the sector. This book is a long overdue and hugely welcome addition to the literature on HE professional practice: a text that provides a clear and highly engaging introduction to debates about how academic practices shape university teaching. For far too long introductory HE teaching programmes and their associated texts have tended to provide hints and tips, tools and answers; they have closed down debate and ignored critical voices. Such an anti-intellectual approach rightly generates frustration and cynicism. 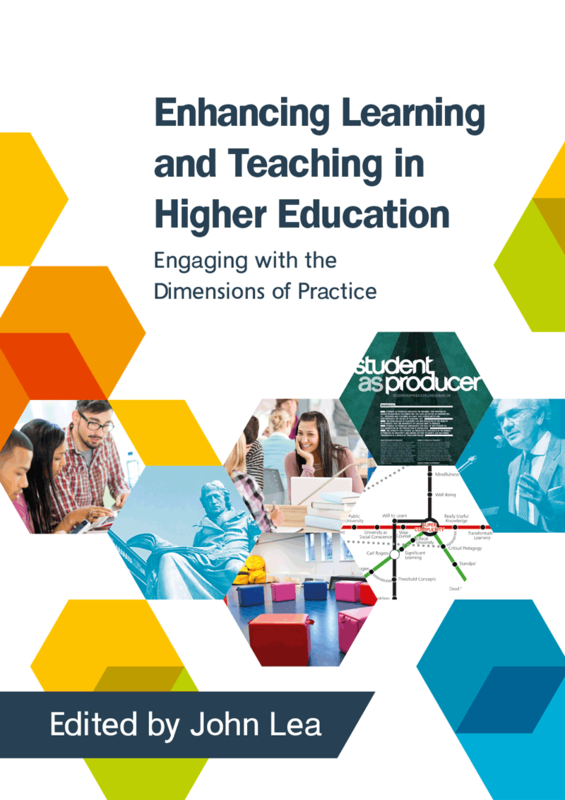 John Lea's book explicitly sets out to showcase key debates, disagreements and differing voices, opening up the discussion and reflective critique that should be at the heart of enhancing professional practices in learning and teaching in HE. The novel construction provides expert introductions to key themes in academic practice each followed by equally magisterial critical responses. Further contributions from students and explicit links to the UK Professional Standards Framework for Teaching and Supporting Learning in HE remind us that these are not just theoretical debates but central to the purposes of HE, our intentions and actions as educators and the learning experiences of our students. This book should become a core text for new lecturer programmes and is essential reading for anyone with an interest in the nature and purposes of Higher Education.